We’re inviting everyone to an open house this Sunday, October 1st, for a tour of our latest residences at 219 Carron Street. Join us from 11am to 3pm for a tour of these stunning apartments, accompanied by cookies, cider, and coffee! All are welcome. Perfectly situated in the heart of Shadyside’s East End, this new building is just a hop, skip, and jump from S. Highland Ave. Residents will have a quick walk to the neighborhood’s favorite restaurants, retail shops, and cafes, such as Mad Mex, Noodlehead, Casbah, Adda Coffee & Teahouse, Penhollows, and Urban Tap, and more! Not to mention, being a short distance from Whole Foods, Market District, and Trader Joe’s. 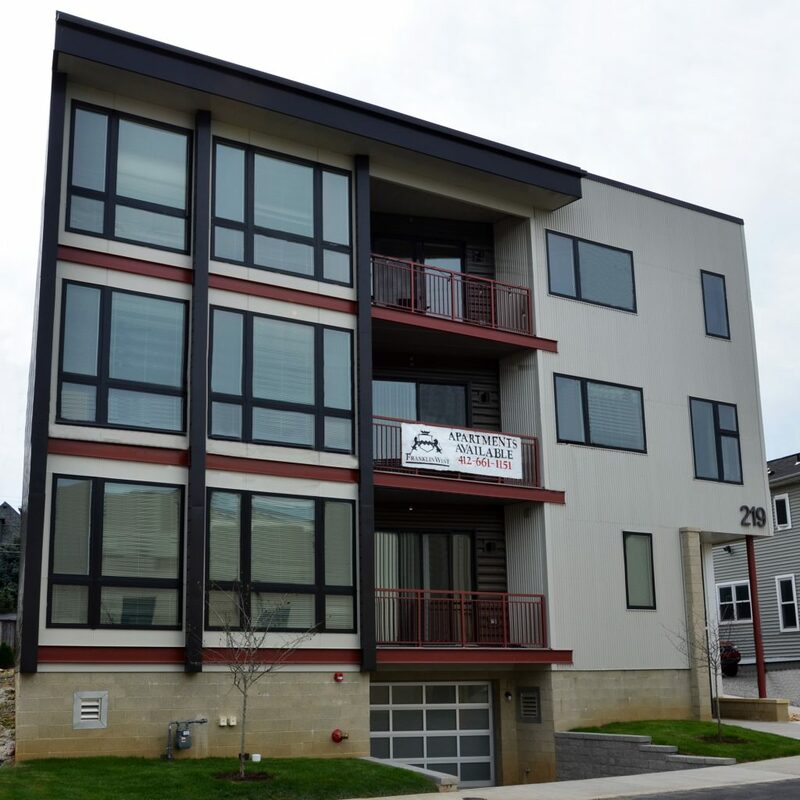 Each one of the one-bedroom and loft-style apartments features hardwood floors, high ceilings, large windows, and an open kitchen with a stainless steel refrigerator, range, microwave and dishwasher. In the loft-style apartments, bedrooms are innovatively partitioned with a charming windowed wall and an adjustable, contemporary screen. A private washer and dryer are also among these apartments’ convenient features. Check out photos of the spacious (and naturally-sunlit) rooms here! The building also stars the internationally-acclaimed work of local great, Romare Bearden, providing tenants with a unique touch of personality and culture. Come by between 11am and 3pm on Sunday, October 1st to see all this building has to offer! Meet us at the building below. Hope to see you there!